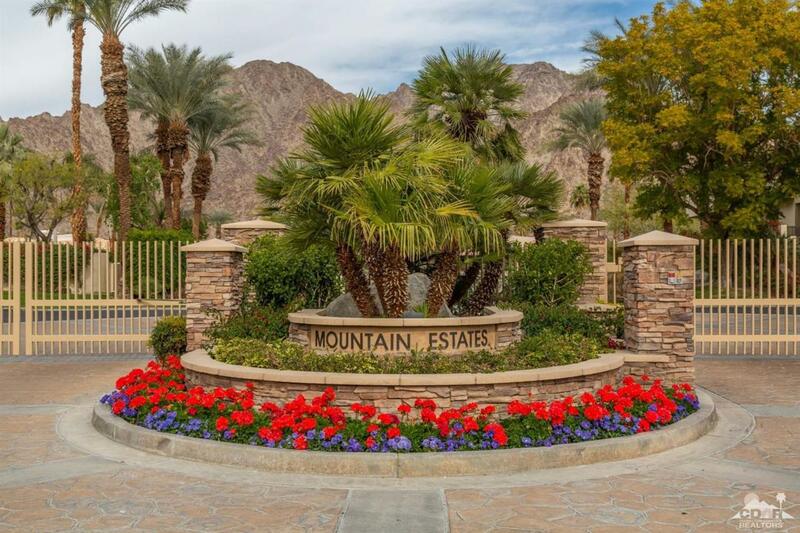 Private elegantly designed home nestled in a cul de sac below the beautiful Santa Rosa Mountains, adjacent to the historic La Quinta Resort in an exclusive gated community. 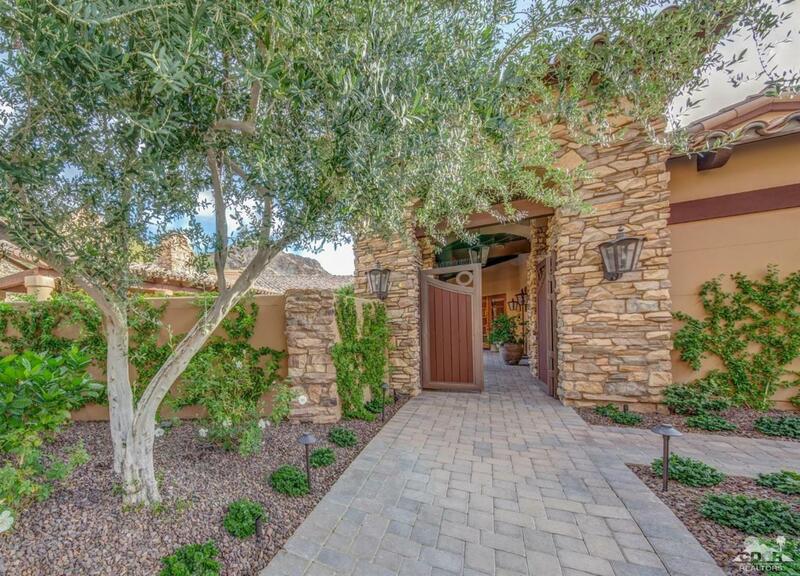 Lush and mature landscaping, state of the art exterior lighting, and handsome wooden gates, provide an impressive entrance to the Hacienda style spectacular courtyard. 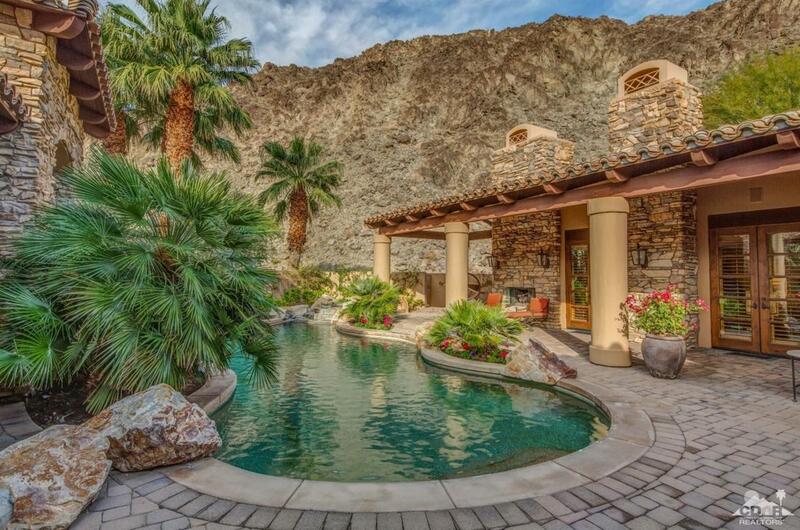 The setting is dramatic, with lovely pool and waterfall, fireplace, stone architectural detail, mature landscaping highlighted by subtle lighting. The courtyard is the ultimate in privacy and spectacular views. Sophisticated Master Suite with his and her closets and bathrooms, fireplace, high-quality finishes and upgrades throughout. 3 attractive guest bedrooms and baths. One is currently an exquisite library/office retreat. Kitchen has everything needed for preparing an intimate dinner or family gathering. Wonderful home you must see! 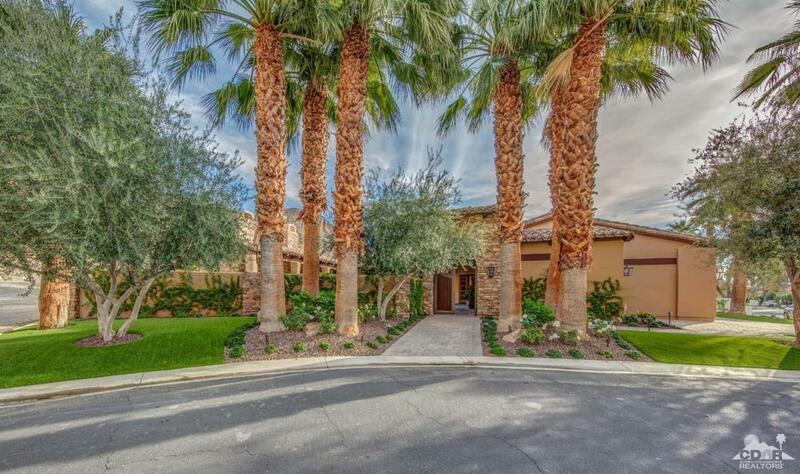 Listing provided courtesy of Larry Hansen of Calif Desert Realty.